Channel inner bliss with these delicate studs. 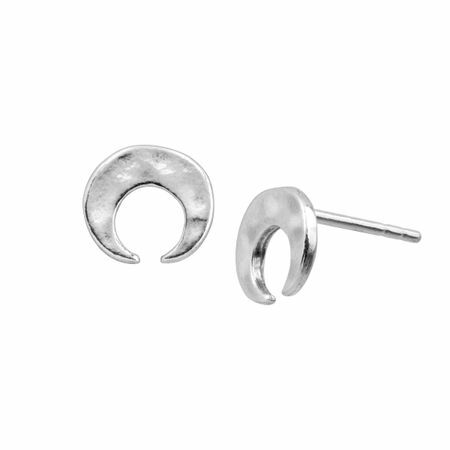 Hammered sterling silver gets a chic upgrade when paired with a sleek, crescent-shaped design. Earrings measure 5/16 by 5/16 inches and feature posts with friction-backs.